Do you want your child to be protected from, well, pretty much everything in life? 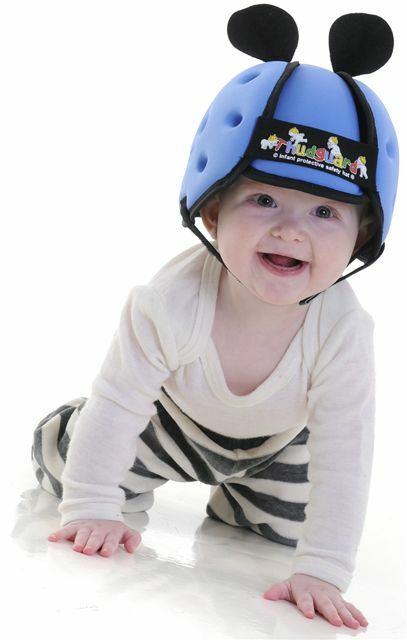 Get the little tyke a Thudguard Infant Safety Walking Helmet. Sure, he'll be laughed at and picked on by those baby bullies at daycare, but at least he'll be spared those few bumps and bruises during those awkward few weeks of learning to walk.